Buying new gadgets always leaves me with the chore of cutting up the packaging and placing it in the recycling bin. 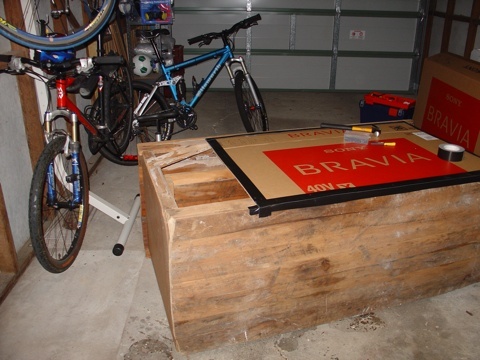 Recently I bought a Sony Bravia X-series LCD display and found myself with the task of recycling a rather large cardboard box. Buying new gadgets always leaves me with the chore of cutting up the packaging and placing it in the recycling bin. 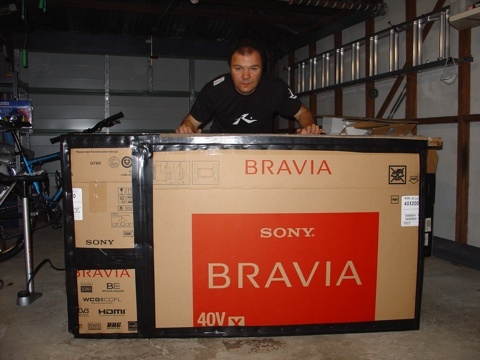 Recently I bought a Sony Bravia X-series LCD display and ended up with a rather large cardboard box. I’ve had this cabinet without a back in my garage for a while and have been contemplating blocking the back so that it becomes a fully enclosed cabinet. A few days ago I was having a BBQ and mentioned it to my uncle who is a carpenter. 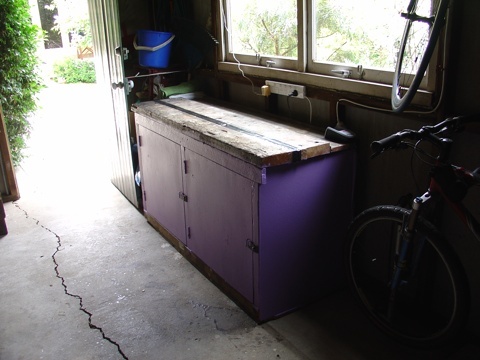 His immediate response was “why don’t you just cut up that big box over there and use it instead of buying some wood”. Well that’s exactly what I did and here are some pictures showing the process. 1. Half covered back of cabinet. 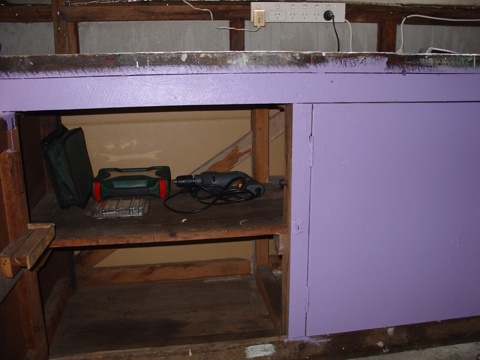 Nails were used to attach cardboard to the back of cabinet. 2. 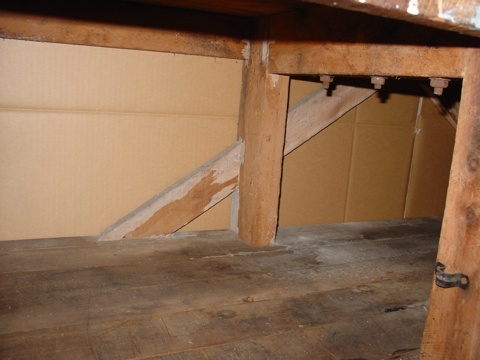 View from the inside of the cabinet. Looks just like the inside of a box. 3. Rear view of finished product with me standing behind it. Lots of gaffer tape used to seal gaps. Well now I just need to paint it! And here is the finished product. It won’t win any beauty contents however it will keeps it contents dust free. A few days ago I posted about a blue screen of death I saw on a plasma screen at the Westfield shopping centre in Chatswood, Sydney Australia.A few days later I was walking through the same building, except I was one floor down, and came across this multimedia phone booth that had detected some new hardware. I guess this building just does not get on with Windows driven hardware and is just crying out for some Linux devices. A few days ago I posted about the blue screen of death I saw on a plasma screen at Westfield shopping centre in Chatswood, Sydney Australia. A few days later I was walking through the same building, except I was one floor down, and came across this multimedia phone booth that had detected some new hardware. 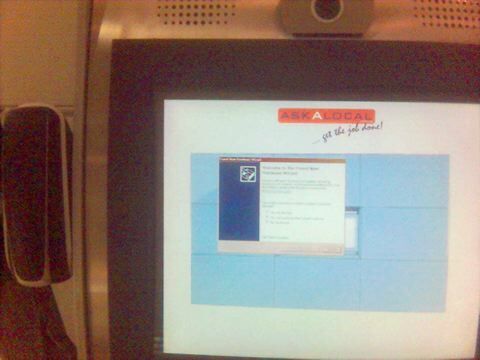 I guess this building just does not get on with Windows driven hardware and is just crying out for some Linux devices. 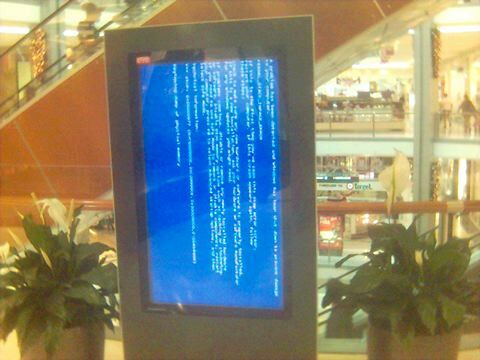 The other day I was walking through Westfield Chatswood, and came across this plasma display showing a classic Windows blue screen of death. I have seen many of these but by far the funniest blue screen of death I have seen is the condom vending machine in the mens toilets at Hoyts cinemas on George street in Sydney.